A few of the hard to find 4CX350A/8321 transmitter tubes. These tubes are used but in fine working condition. 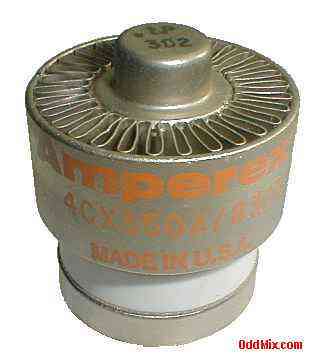 Two are made by Amperex and two of Eimac. Four SK6368 Eimac sockets are also available. Sockets are used but they are in very good condition. Tube data for reference only - no longer available!